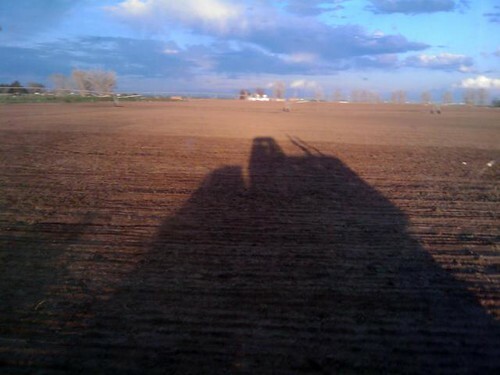 Tractoring at Sunset, originally uploaded by thejesse. I took this pic two days ago shortly before sunset. A thunderstorm had just passed and the sun came out for a bit before setting. The lighting was amazing and I was wishing I could be out taking pictures instead of working ground. Settled for this instead. The temperature that day was in the low 80s. It snowed this morning and the expected high is about 55 degrees. April.